Botetourt County is full of history and historic places. At one time the county stretched to the Mississippi River and up into Wisconsin. It's not so large today but we have many historical structures on the National Register of Historic Places. 1. The Phoenix Bridge. This is a truss bridge near Eagle Rock. 2. Greenfield. Currently (2015) a major source of controversy in the county as the property was purchase by government officials 20 years ago. They want to move the historic structures to build a shell building in hopes that some big company will come in. 3. Fincastle Historic District. 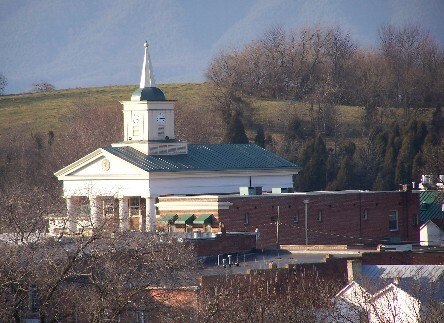 The entire town of Fincastle is mostly a historic district. 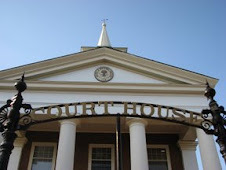 The town was established as the county seat in 1770. Fires took out a few blocks but many old buildings still exist in the town, including a number of historic churches. 4. Breckinridge Mill. An historic grist mill that no longer works. It has been turned into apartment complexes but the structure is still intact. 5. Bessemer. This is an archeological site of prehistoric Native Americans. The site was first discovered during road construction. 6. Buchanan Historic District. While not quite as old of an incorporated town as Fincastle, Buchanan has been around a long time. It was originally known as Pattonsburg and because of its location along the James River was an active port town. It was also a site of Civil War activity. 7. Lauderdale is a huge home located outside of Buchanan. It has been undergoing restoration for a number of years. 8. 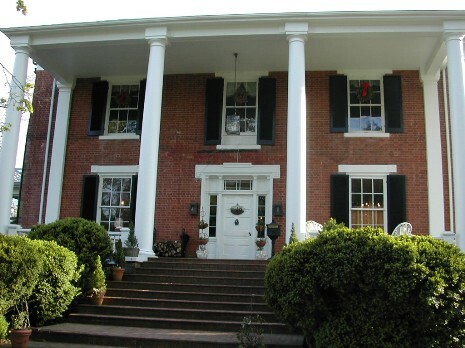 Santillane is a historic home located just outside of Fincastle. It was constructed around 1835. The family who originally owned it was the Hancocks, and daughter Julia married William Clark (of Lewis & Clark fame). 9. Wheatland Manor. This historic home is located between Fincastle and Buchanan. 10. Wiloma. Another historic home located near Fincastle, constructed in 1848. 11. Nininger's Mill. This is also known as Tinker Mill. The grist mill was originally constructed about 1847. 12. Greyledge. Located near Buchanan, the original structure was built around 1842. 13. Bryan McDonald House. This is one of the older homes in the Troutville area. It was built in 1766. You can find more listed at this Wiki article. I have a question concerning Henry Bolton. I am a member of Find A Grave, and added a memorial for him. All the information I have read about his stated that he is not burried in the Bolton family cemetery that his resting place is unknown? So I listed him as burrial as unknown in Giles county West VA. Would you consider this the best way to answer concerning Henery's whereabouts?